Nice, very large Good Sam campground. Packed but we got 50 amp, even though there are only a few. It’s sits along the Bow River and has miles of jogging, walking, dog path. The Bow River (campground is at the bend in the river). We had planned to stay here 2 nights and then begin our trek to Anchorage. However, we have been detained. Our Volvo is in the shop and cannot be worked on until next Thursday. So, we came back to the campground to ask if we could extend. Fine, except they are full on the weekends. So, tomorrow morning we are going to find a tow truck and hopefully work out moving us 3 times over the next almost 2 weeks. Tomorrow- through Friday AM we’ll have a 30amp site. Friday/Saturday we can boondock toward the front of their park. And, then, Sunday we can move into a 50amp site for whole week including the weekend – in case our truck is not finished by Saturday the 7th. This will change the way we were going to travel to Anchorage (by June 17th) …. maybe a few longer days and less “multiple nights in one place stops”, but we can still be in Anchorage as planned. And rest up for the Mayor’s Midnight Half Marathon on June 20th. 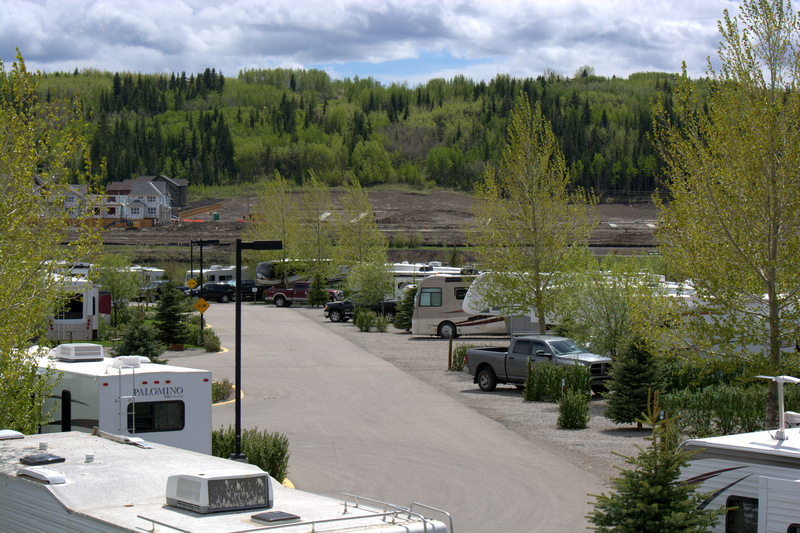 The nice thing about being at this campground is the beautiful jogging path along the Bow River. Oh, and, now that we are here more than 2 nights we will be sightseeing in and around the area! 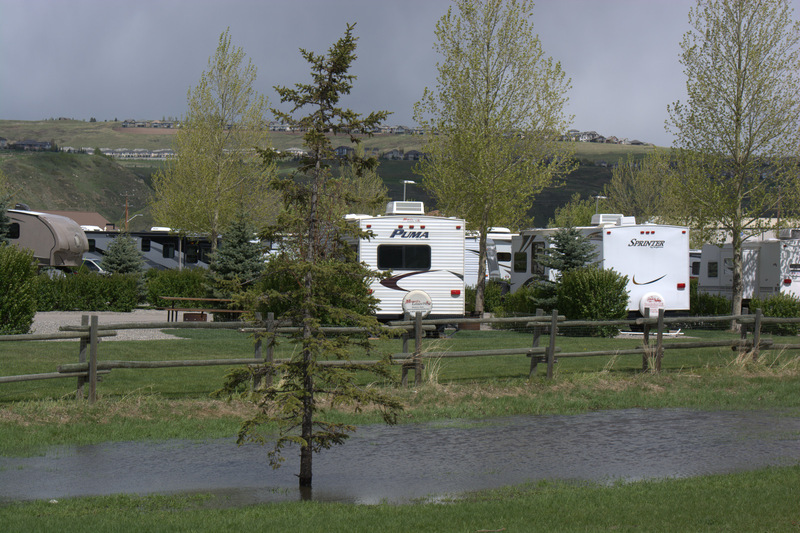 And, I’ve added some additional campground pictures. 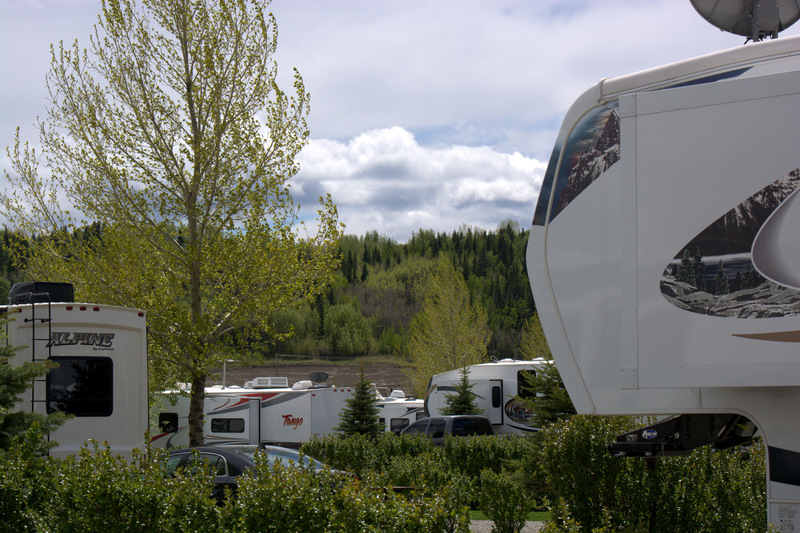 Although it’s probably the biggest campground we’ve stayed in – it’s really nice, quiet, and set in beautiful surroundings. 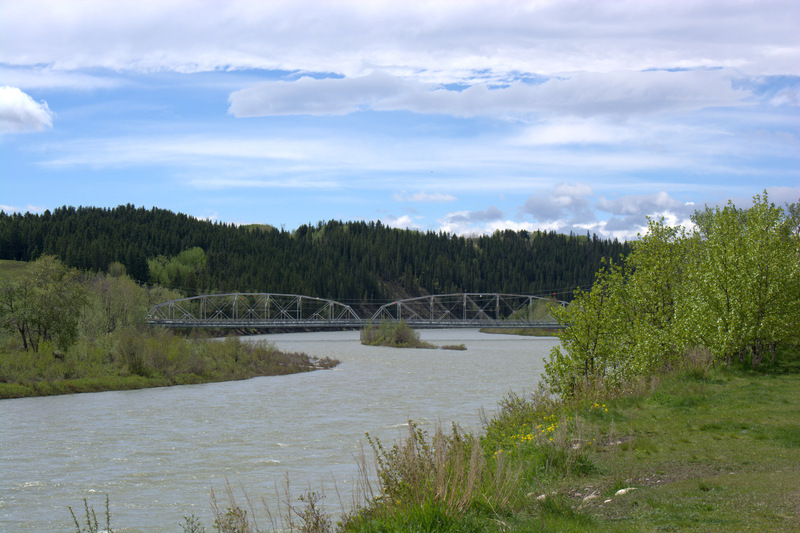 The Bow River and single lane bridge from the walking/jogging trail. This entry was posted in Campgrounds, RV, Travel. Bookmark the permalink.